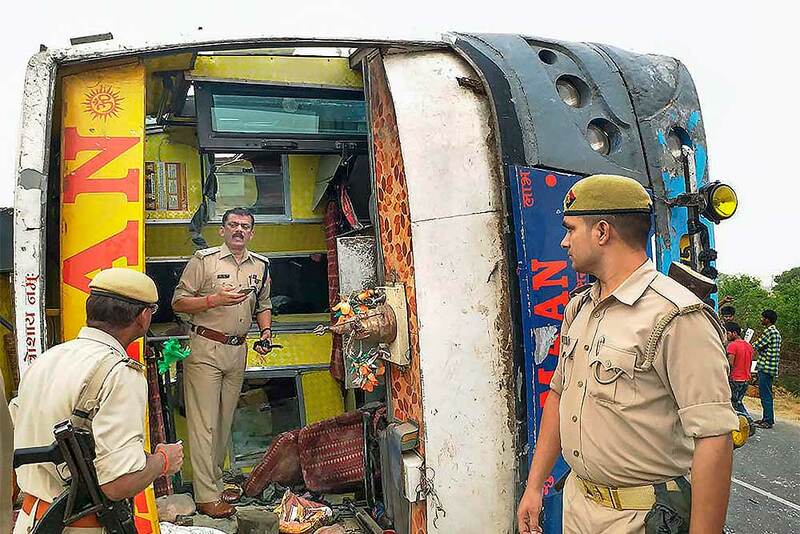 Police personnel conduct investigation at the site where an allegedly speeding bus overturned after hitting a road divider, in Mainpuri. At least 17 passengers were killed and 20 were injured in the accident. 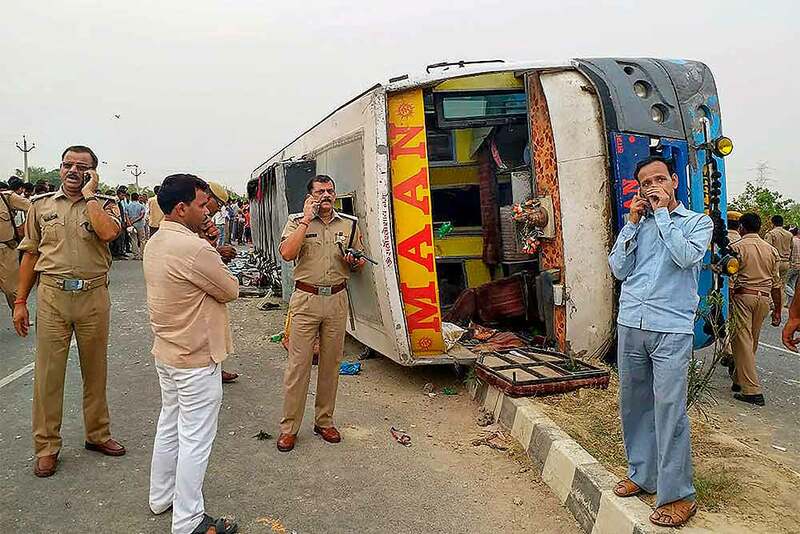 Police personnel conduct investigation at the site where an allegedly speeding bus overturned after hitting a road divider, in Mainpuri. 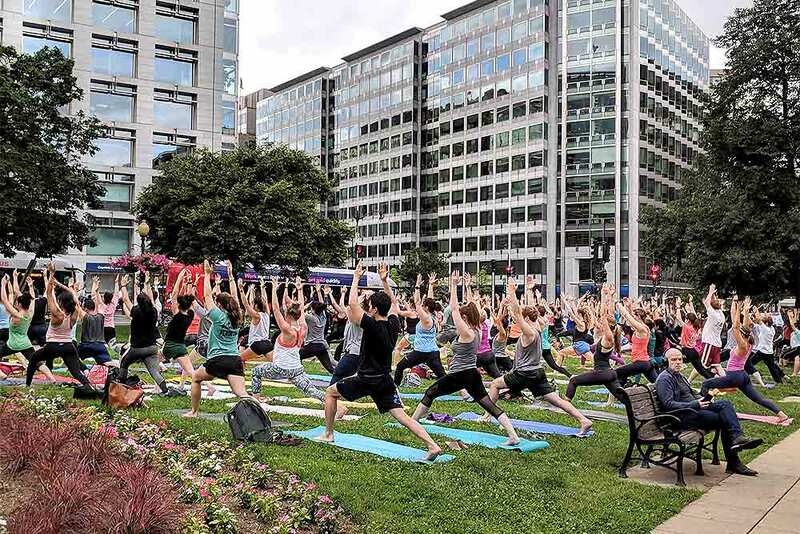 People gather to perform yoga after office hours at a park ahead of World Yoga Day to be celebrated on 21 June, in Washington DC. 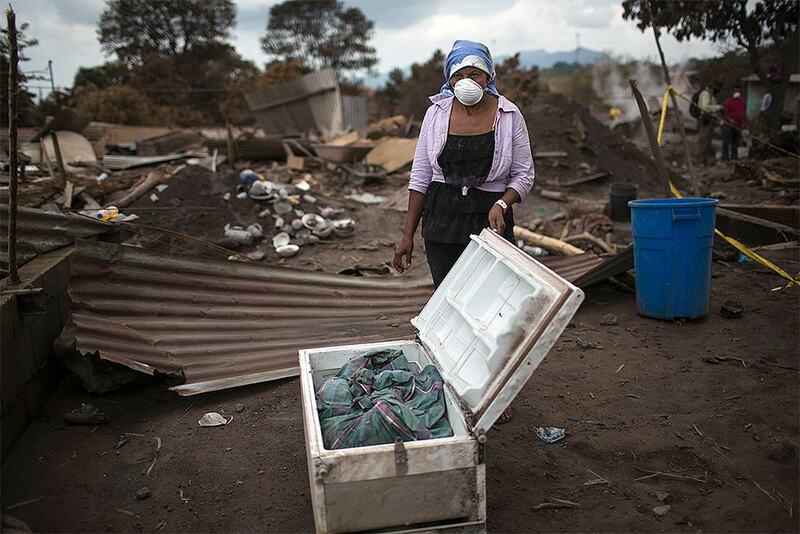 Eufemia Garcia Ixpata shows journalists a fridge holding what she believes to be the bones of her brother-in-law, found in one of her family's homes, after the eruption of the Volcan de Fuego, or Volcano of Fire, during search and recovery efforts in San Miguel Los Lotes, Guatemala. The volcano's initial eruption on June 3 killed at least 110 people and left about about 200 missing. 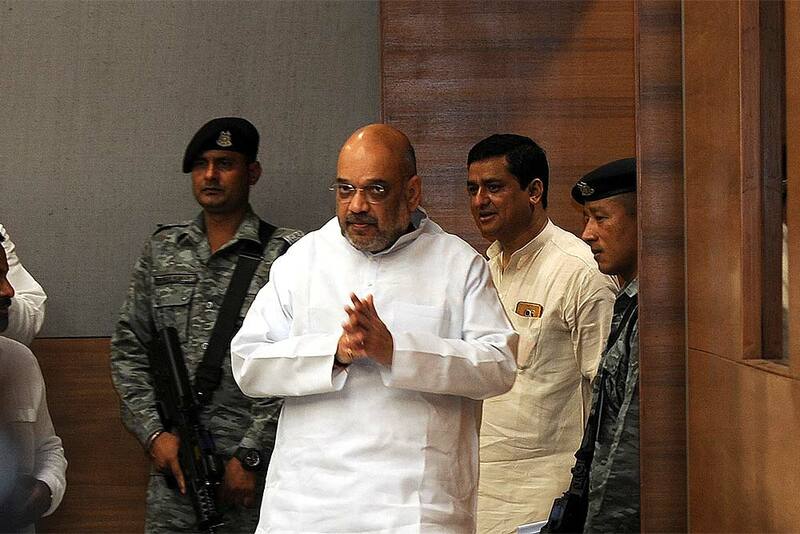 BJP President Amit Shah during book release of Pt. Deendayal Upadhyay Prashikshan Mahabhiyan books, in New Delhi. 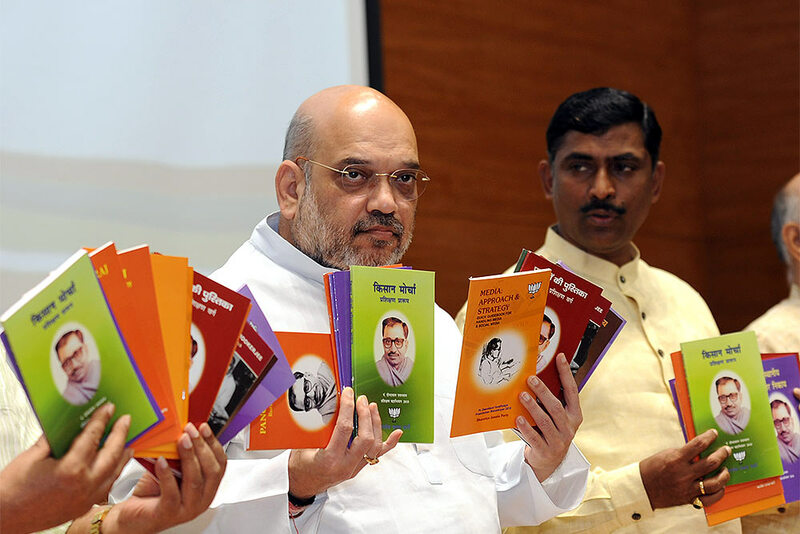 BJP President Amit Shah with National General Secretary Muralidhar Rao during book release of Pt. Deendayal Upadhyay Prashikshan Mahabhiyan books, in New Delhi. 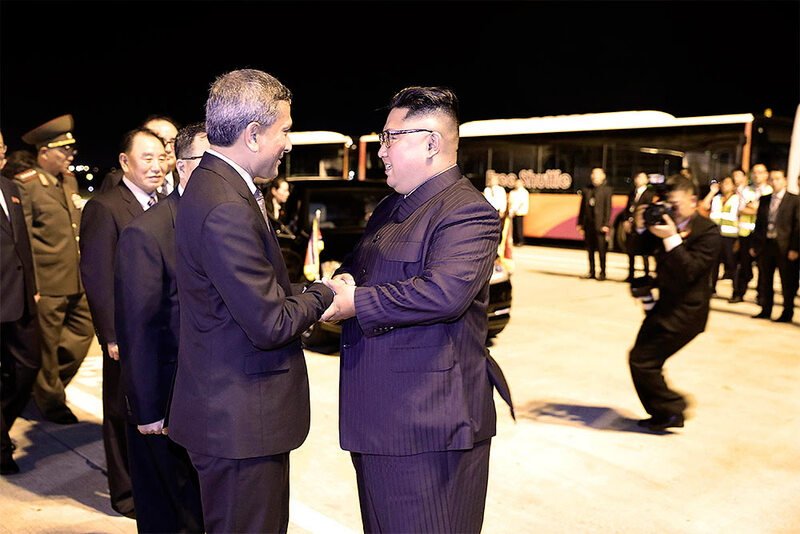 In this photo released by the Ministry of Communications and Information, Singapore, North Korean leader Kim Jong Un, center, is greeted before his departure, at Changi airport, following the summit with U.S. President Donald Trump, in Singapore. 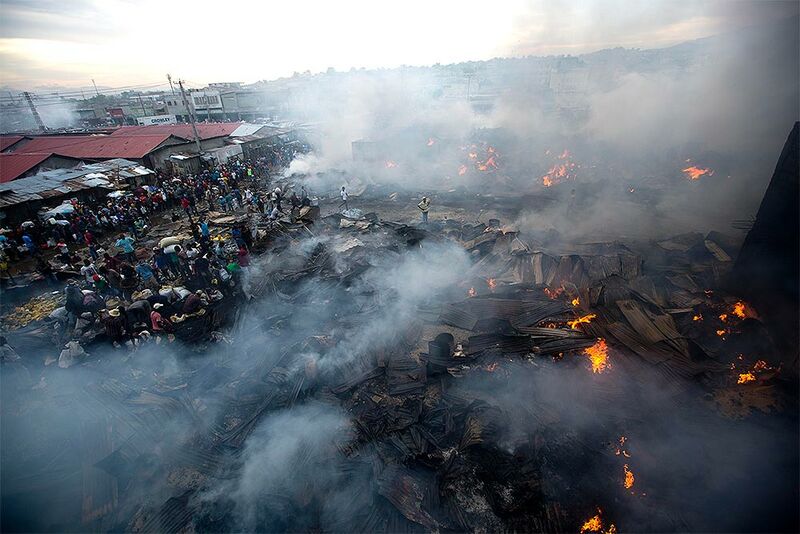 The city's biggest local rice and beans market smolders after a fire, in of Port-au-Prince, Haiti. The entire market, where they sell local rice, black beans, onions and other grains and perishables was destroyed in the blaze during the night of June 12. 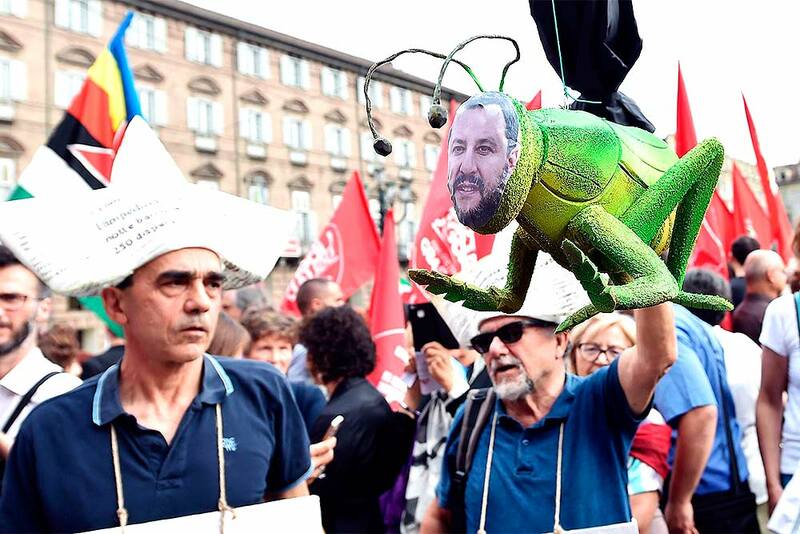 A man holds a cricket cutout depicting Italian Interior Minister Matteo Salvini as people gather to stage a protest after the rescue ship Aquarius has been stuck since Saturday in international waters off the coast of Italy and Malta, both of which have refused it entry, in Turin, Italy. Italy dispatched two ships to help take 629 migrants stuck off its shores on the days-long voyage to Spain in what is forecast to be bad weather, after the new populist government refused them safe port in a dramatic bid to force Europe to share the burden of unrelenting arrivals. 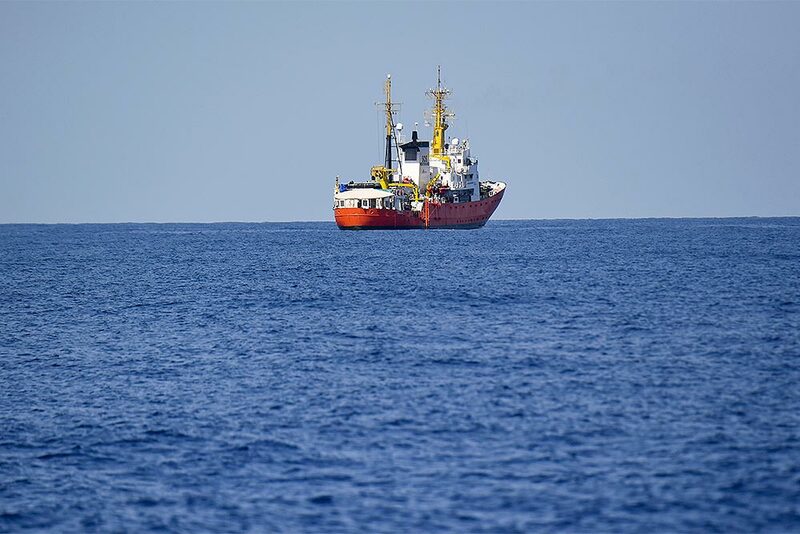 The French NGO "SOS Mediterranee" Aquarius ship is seen in the Mediterranean Sea. Italy dispatched two ships to help take 629 migrants stuck off its shores on the days-long voyage to Spain in what is forecast to be bad weather, after the new populist government refused them safe port in a dramatic bid to force Europe to share the burden of unrelenting arrivals. 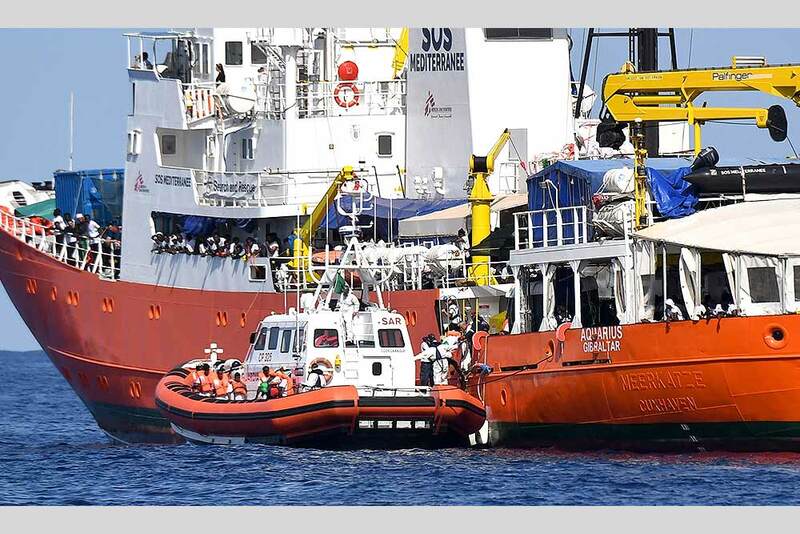 An Italian Coast Guard boat approaches the French NGO "SOS Mediterranee" Aquarius ship as migrants are being transferred, in the Mediterranean Sea. 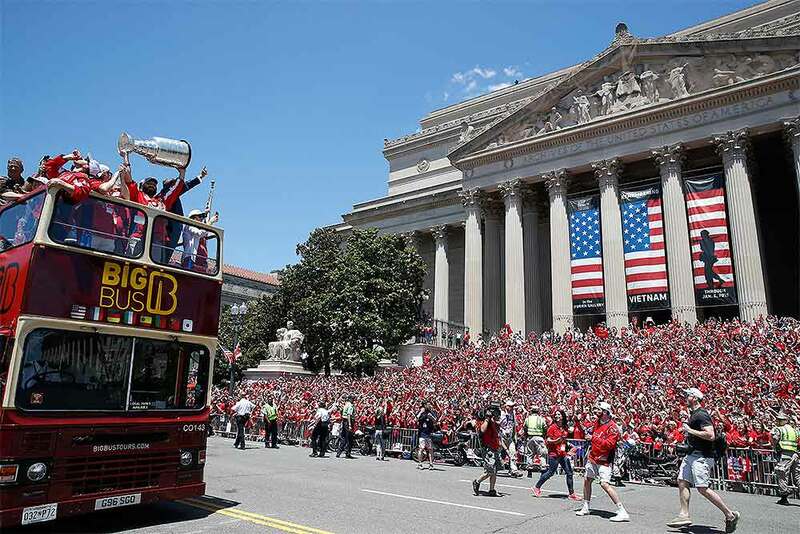 Washington Capitals left wing Alex Ovechkin (8), from Russia, holds up the Stanley Cup as they pass the crowd on the steps of The National Archives during a victory parade, in Washington. 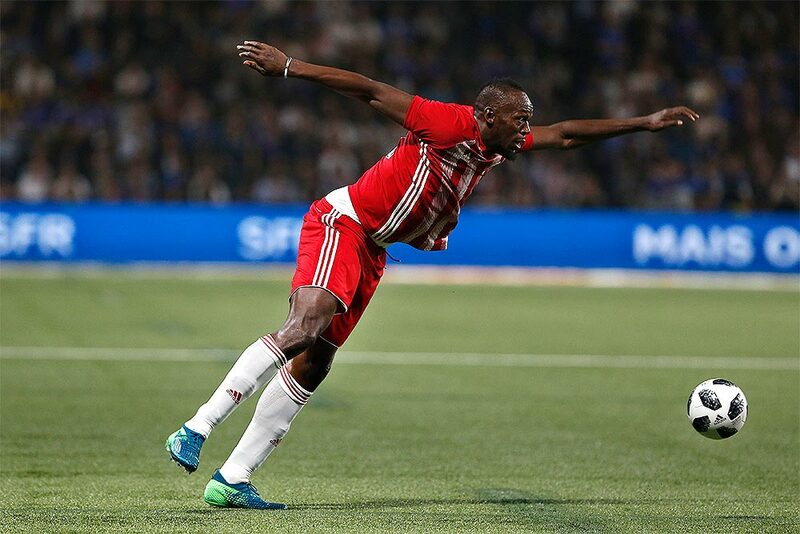 Former Olympic and Jamaican sprinter Usain Bolt controls the ball during a charity soccer match between members of the 1998 World Cup winning French team and a team of international veteran players who were also involved in the same tournament, at the U Arena in Nanterre, north of Paris, France. 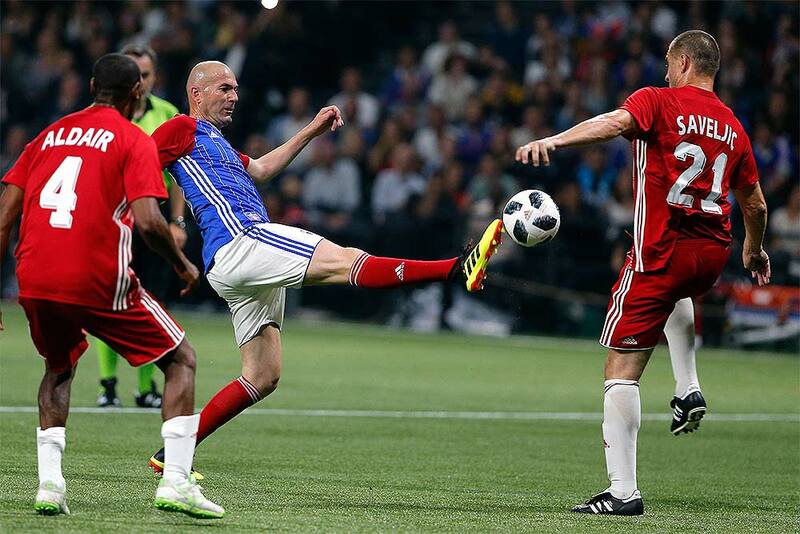 Former Real Madrid head coach Zinedine Zidane, left, challenges for the ball with Nisa Saveljic of Serbia, right, during a charity soccer match between members of the 1998 World Cup winning French team and a team of international veteran players who were also involved in the same tournament, at the U Arena in Nanterre, north of Paris, France. Singer Camila Cabello performs on stage at the Brixton Academy in London. 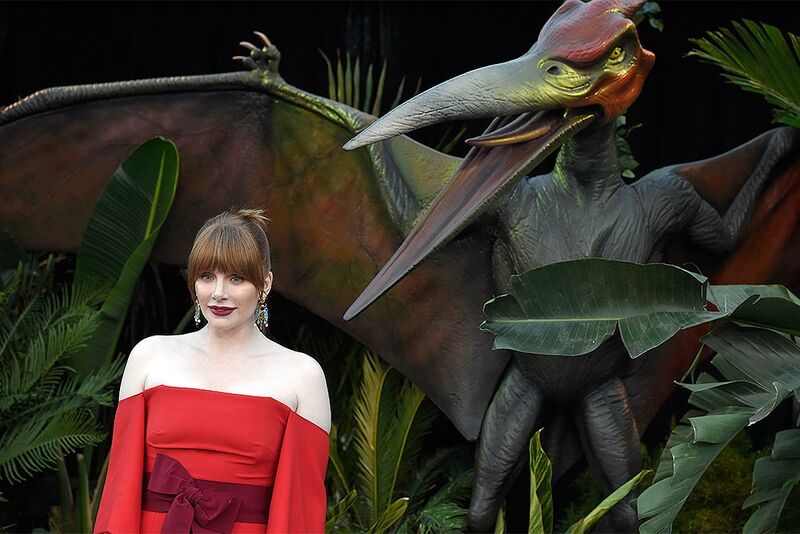 Bryce Dallas Howard arrives at the Los Angeles premiere of "Jurassic World: Fallen Kingdom" at the Walt Disney Concert Hall. 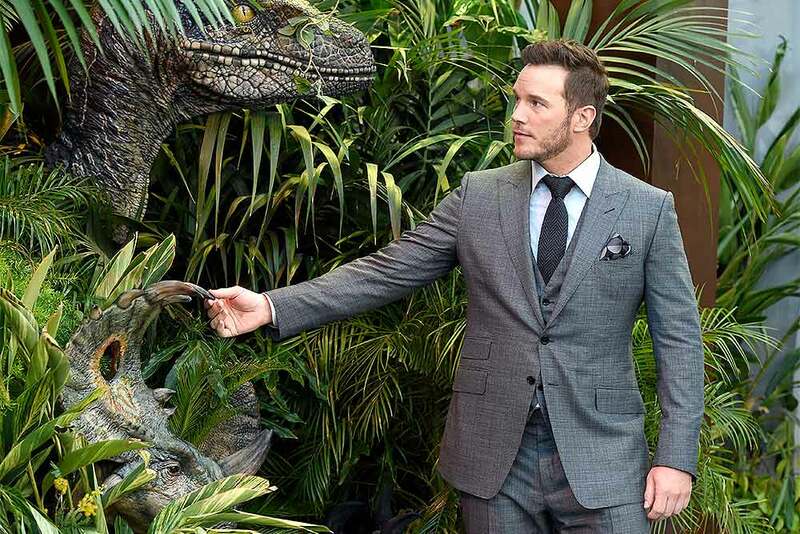 Chris Pratt arrives at the Los Angeles premiere of "Jurassic World: Fallen Kingdom" at the Walt Disney Concert Hall. Dua Lipa performs at the Bonnaroo Music and Arts Festival in Manchester, Tennessee. 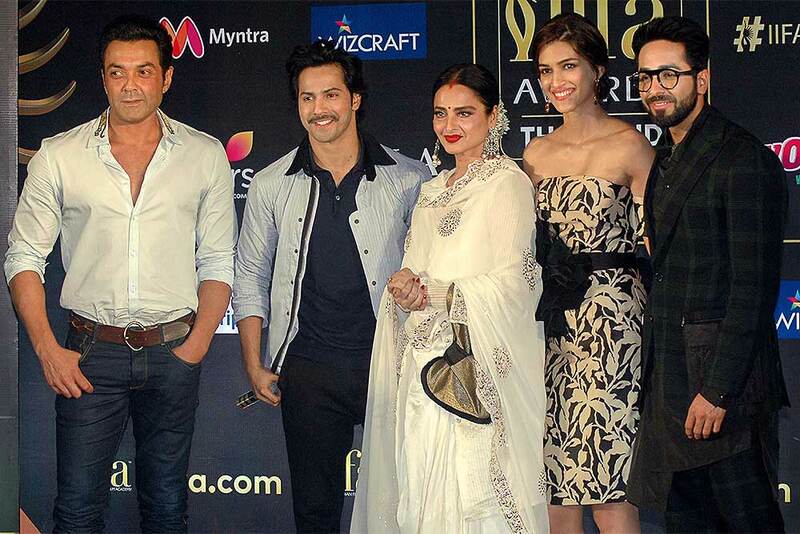 Bollywood actors Rekha, Varun Dhawan, Bobby Deol, Kriti Sanon and Ayushmann Khurrana during an announcement of the 19th edition of IIFA Awards 2018 Thailand, in Mumbai. 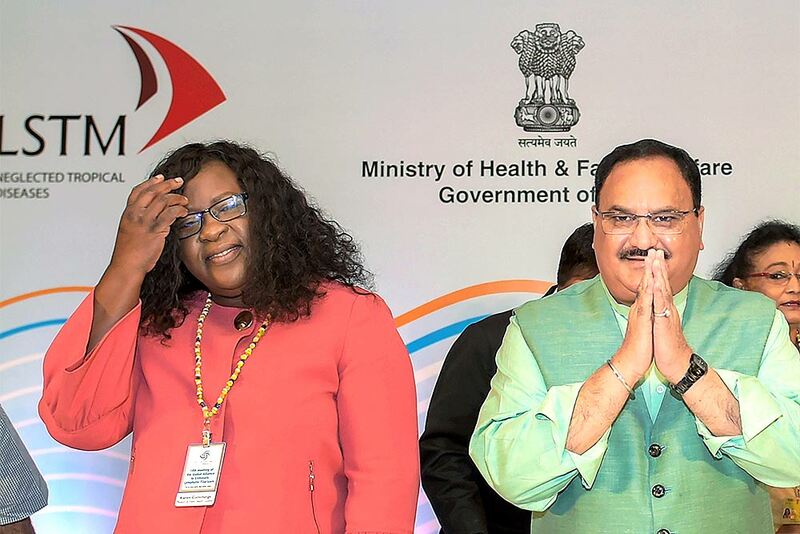 Union Health Minister JP Nadda with Junior Public Health Minister Karen Cummings of Guyana at the 10th meeting of the Global Alliance to Eliminate Lymphatic Filariasis (GAELF), in New Delhi. 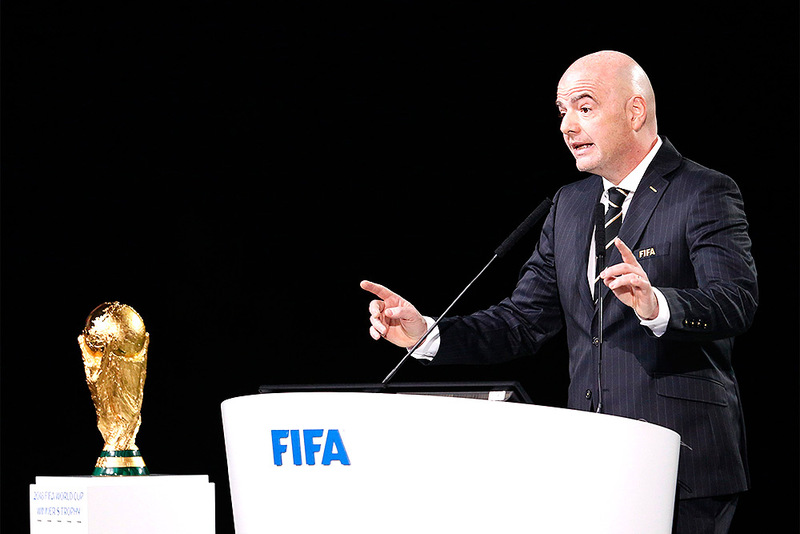 FIFA President Gianni Infantino delivers a speech at the FIFA congress on the eve of the opener of the 2018 soccer World Cup in Moscow, Russia. The congress in Moscow is set to choose the host or hosts for the 2026 World Cup. 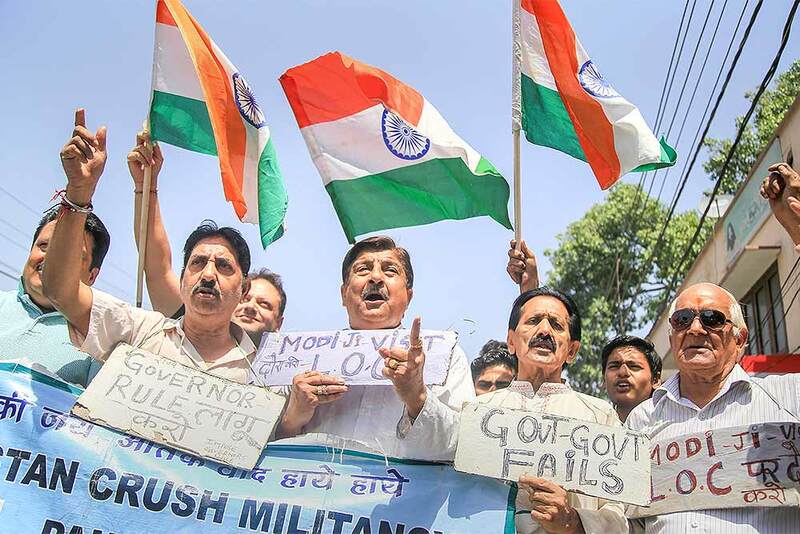 Members of Jammu West Assembly movement protest against the recent firing by Pakistan Rangers along the International Border in Samba district, in Jammu. 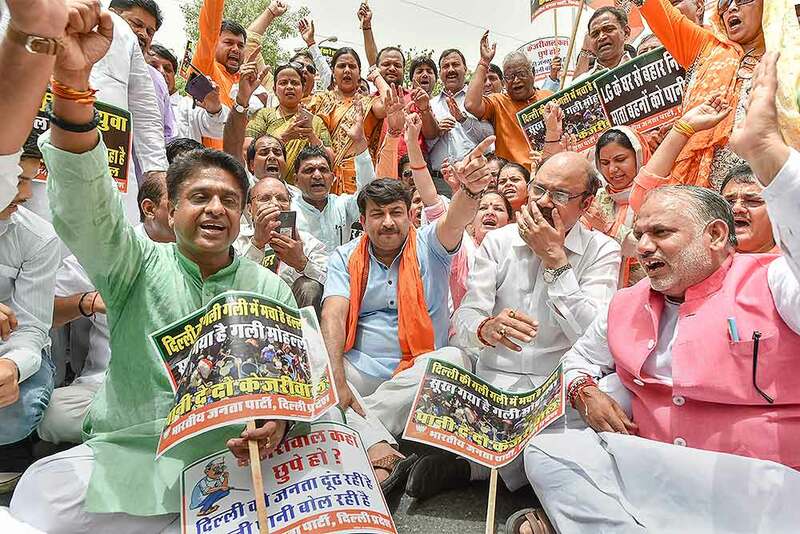 Delhi BJP president Manoj Tiwari with party workers raise slogans demanding water-power supply as they march towards Delhi Chief Minister Arvind Kejriwal's office, in New Delhi. 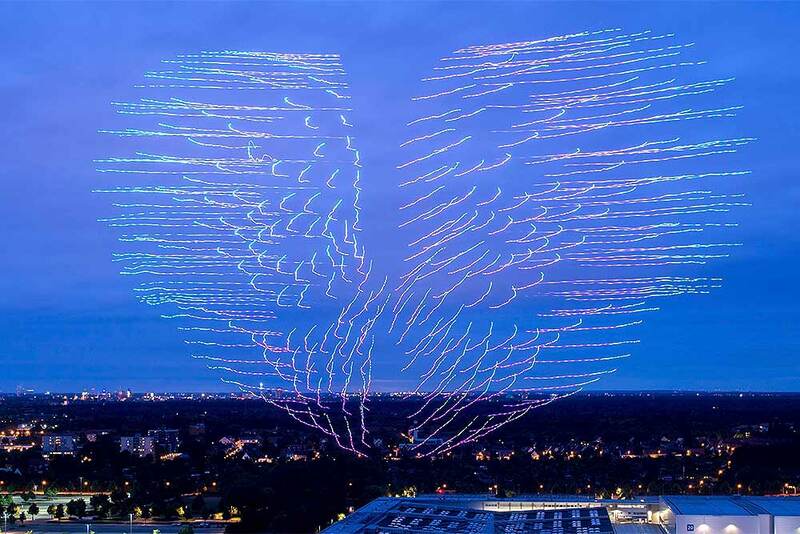 In this photo, 300 drones operated by the Intel company displaying a heart in the evening sky, as part of the CEBIT technology fair in Hannover, Germany. 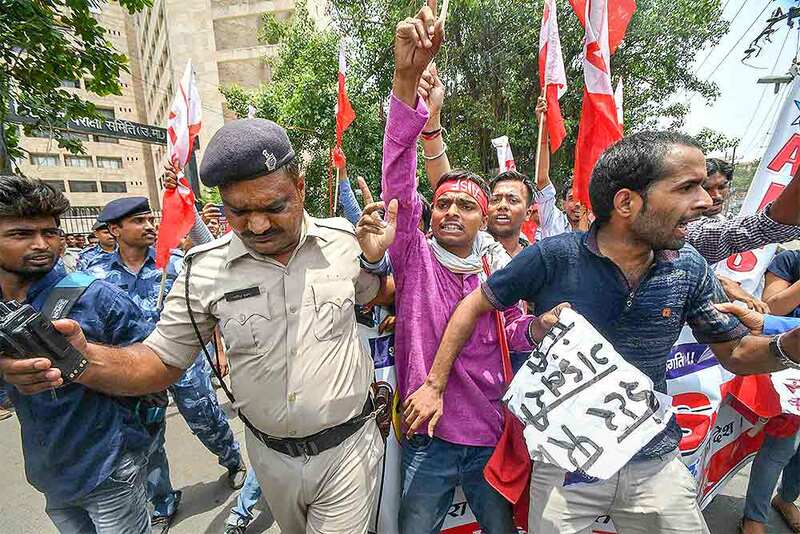 Police personnel detain All India Students Federation activists during a protest against the low pass percentage in the Intermediate exams, in Patna. 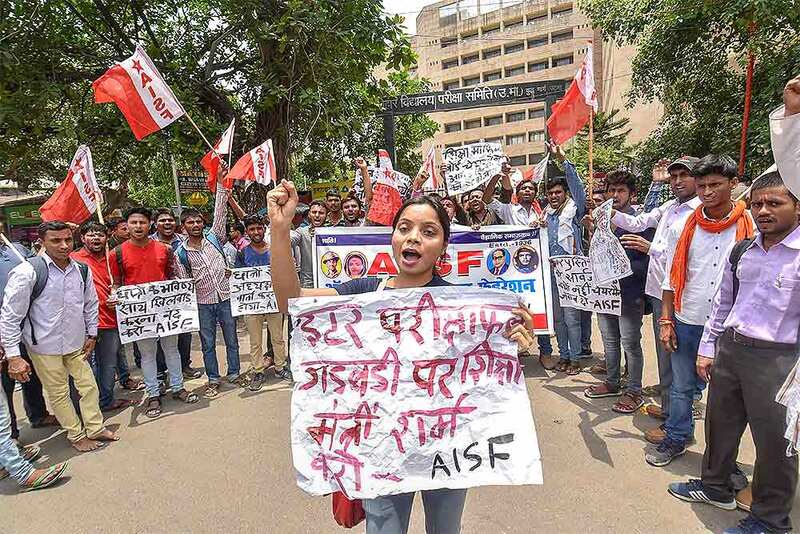 All India Students Federation activists raise slogans during a protest against the low pass percentage in the Intermediate exams, in Patna. A combo picture of the still images taken from a video shows Prime Minister Narendra Modi doing yoga exercises. The world is set to observe the 4th International Day of Yoga on June 21, 2018. 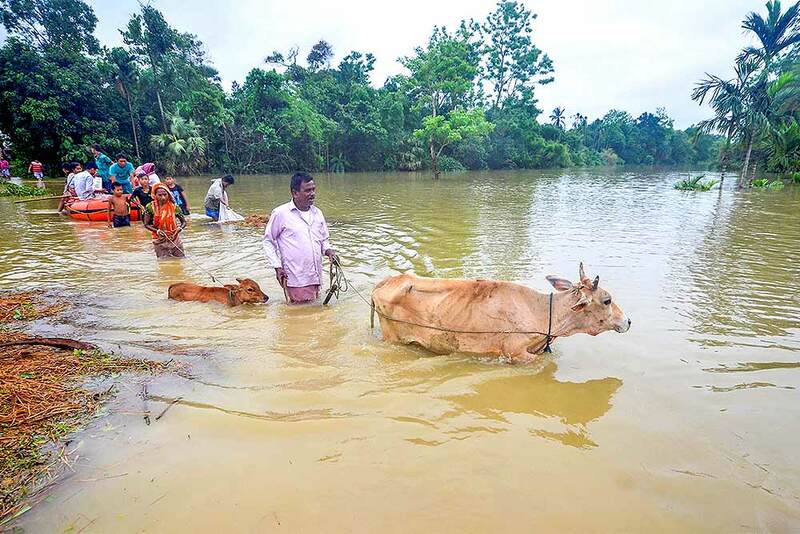 Villagers shift from the flood affected Mog Para village after heavy downpour in Sabroom, about 137 kms from Agartala. 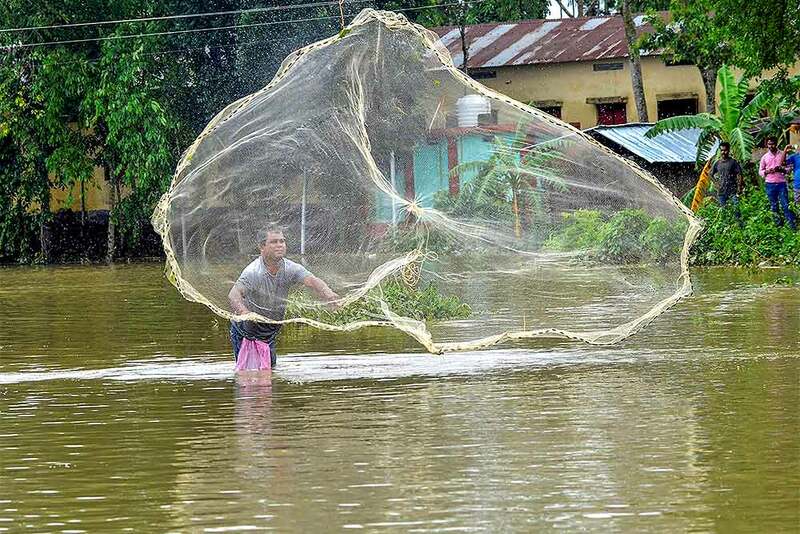 A man throws net to catch fish in the flood affected Mog Para village, after heavy downpour in Sabroom, about 137 kms from Agartala. 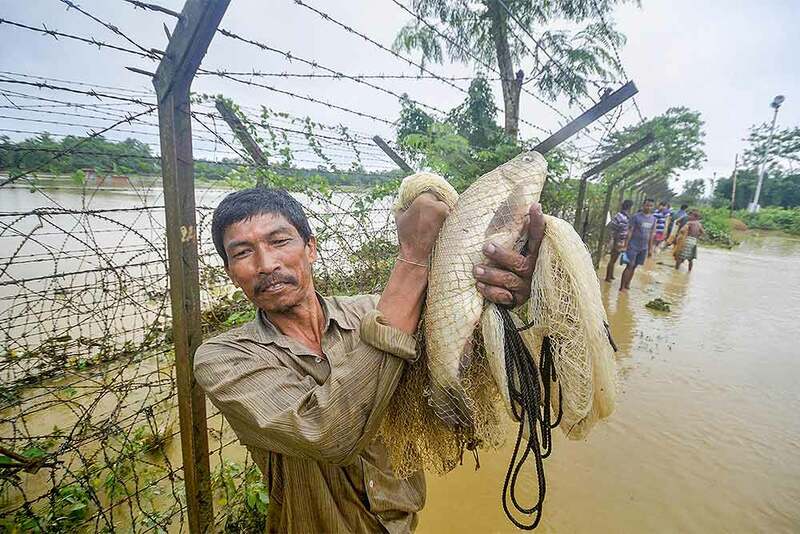 A man carries fish caught by him in the water at Mog Para village, after heavy downpour in Sabroom, about 137 kms from Agartala. 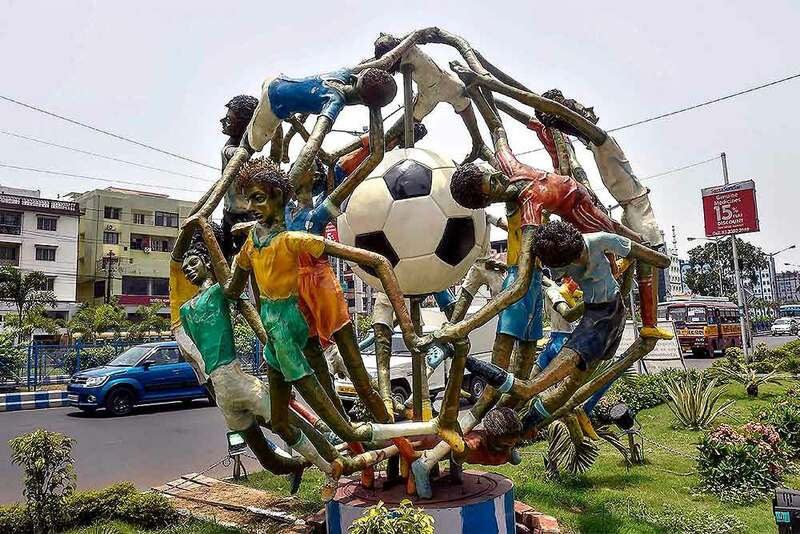 A soccer-inspired installation installed along a road during a beautification drive, ahead of FIFA World Cup 2018, in Kolkata. 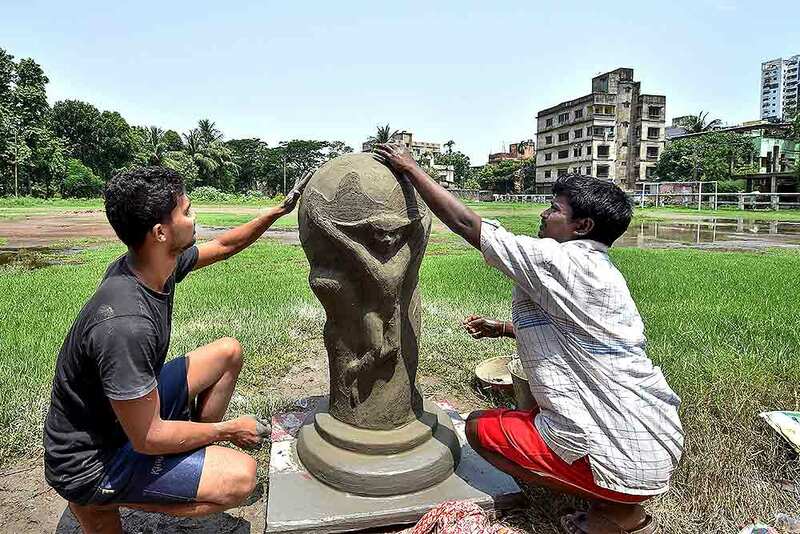 Artists prepare a clay model of FIFA World Cup trophy, in Kolkata. 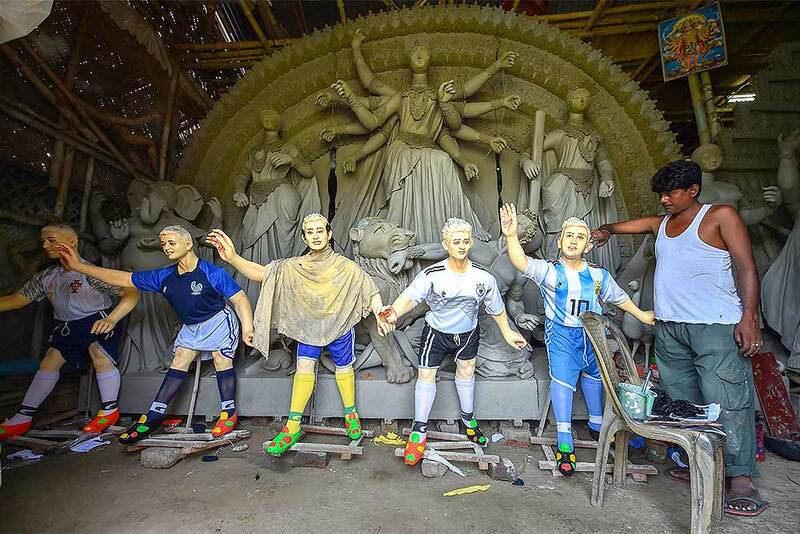 An artist gives final touches to clay models of various soccer players at his workshop, ahead of FIFA World Cup 2018, in Kolkata. Portugal's Cristiano Ronaldo, right, plays the ball with teammates during the training session of Portugal at the 2018 soccer World Cup in Kratovo, outskirts Moscow, Russia. 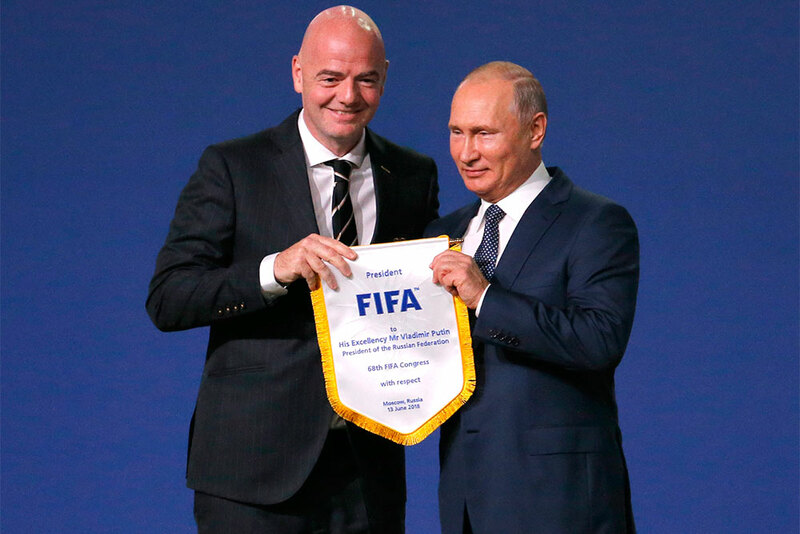 FIFA President Gianni Infantino, left and Russian President Vladimir Putin pose for cameras at the FIFA congress on the eve of the opener of the 2018 soccer World Cup in Moscow, Russia. The congress in Moscow is set to choose the host or hosts for the 2026 World Cup. 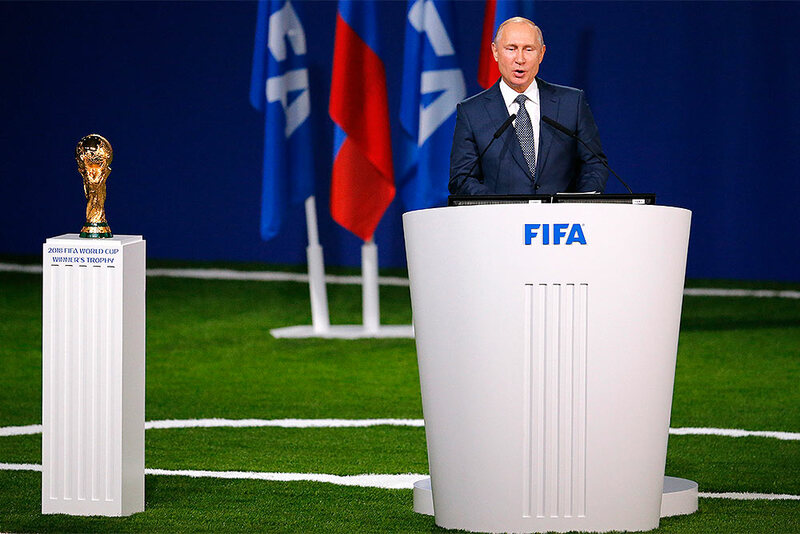 Russian President Vladimir Putin speaks to global soccer leaders at the FIFA congress on the eve of the opener of the 2018 soccer World Cup in Moscow, Russia. 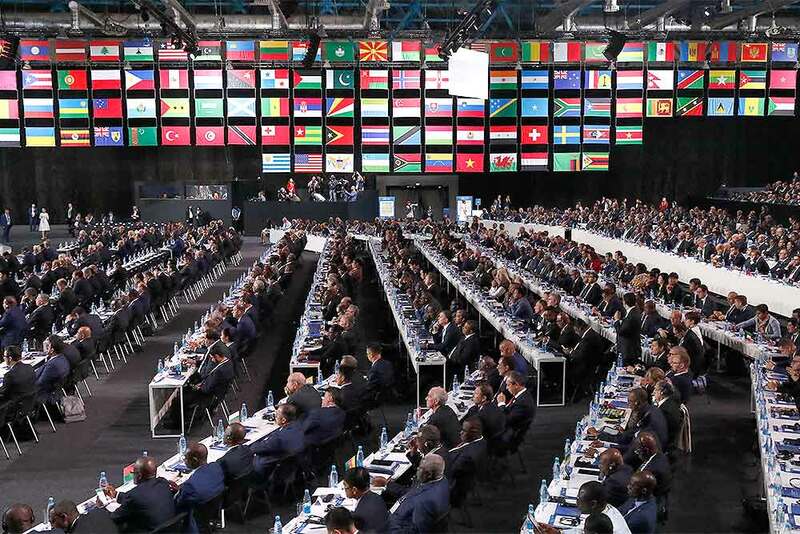 Delegates attend the FIFA congress on the eve of the opener of the 2018 soccer World Cup in Moscow, Russia. The congress in Moscow is set to choose the host or hosts for the 2026 World Cup. 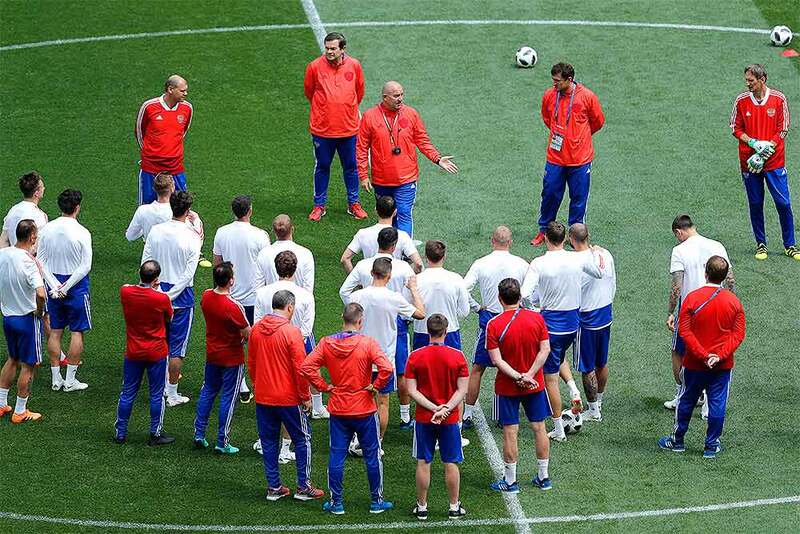 Russia head coach Stanislav Cherchesov gives indications to his players during the official training session of the Russian team one the ing eve of the group A match between Russia and Saudi Arabia at the 2018 soccer World Cup at Luzhniki stadium in Moscow, Russia. 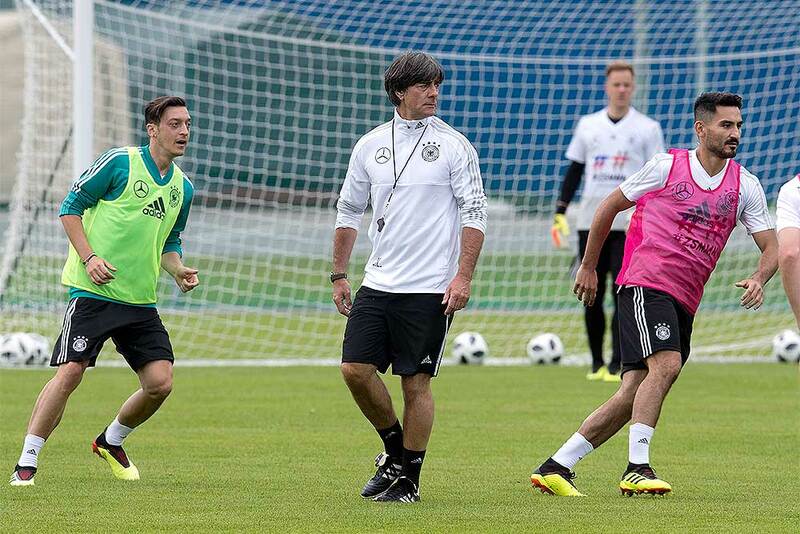 German coach Joachim Loew stands between players Mesut Oezil, left, and Ilkay Guendogan during a training session of the German national soccer team at the 2018 soccer World Cup in Vatutinki, Russia. 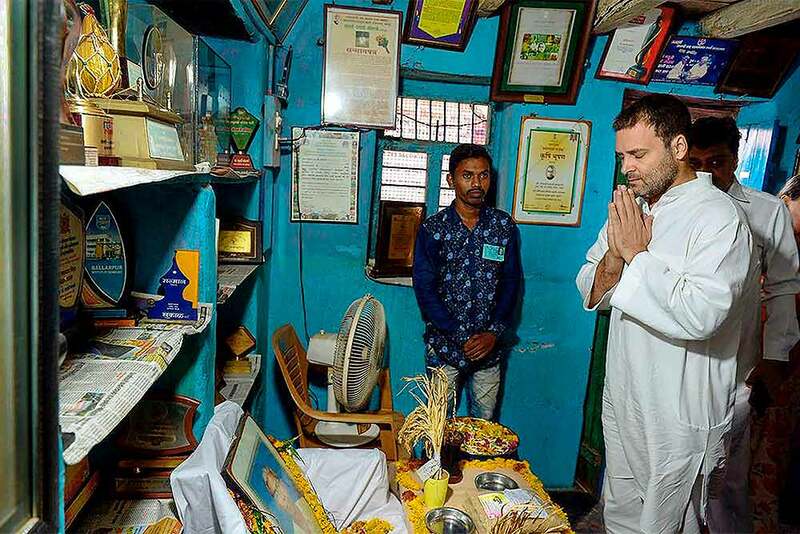 Congress President Rahul Gandhi pays homage to late Dadaji Ramaji Khobragade, who passed away on June 4, at his village in Chandrapur. Khobragade invented the HMT rice, a highly successful rice variety which yielded 80 percent more rice than the conventional variety. 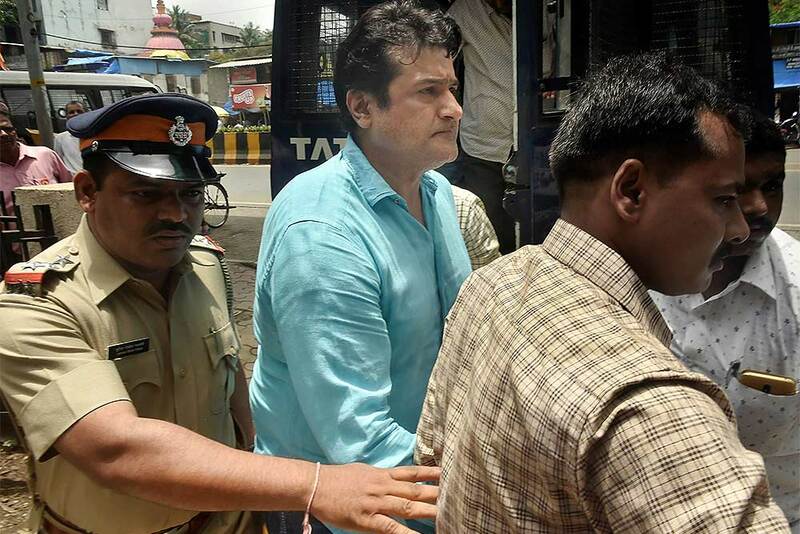 Actor Armaan Kohli being produced at Bandra court for an alleged case of domestic violence, in Mumbai. 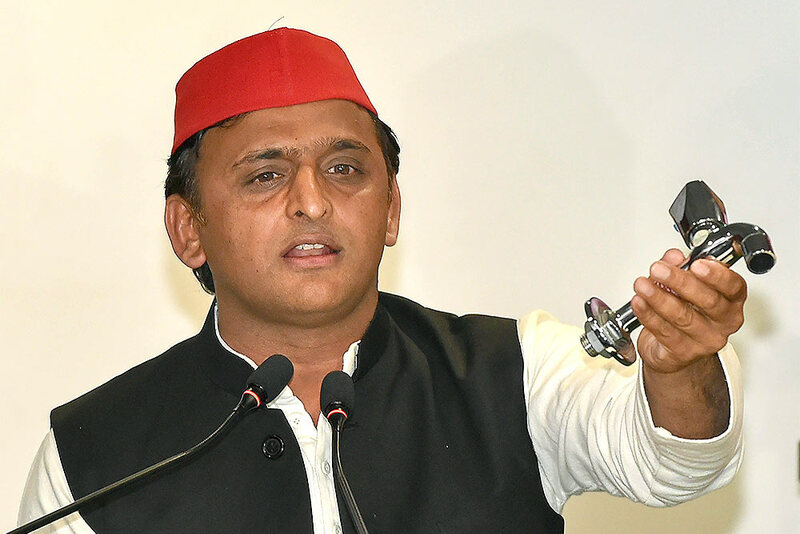 Samajwadi Party President Akhilesh Yadav addresses a press conference, in Lucknow. 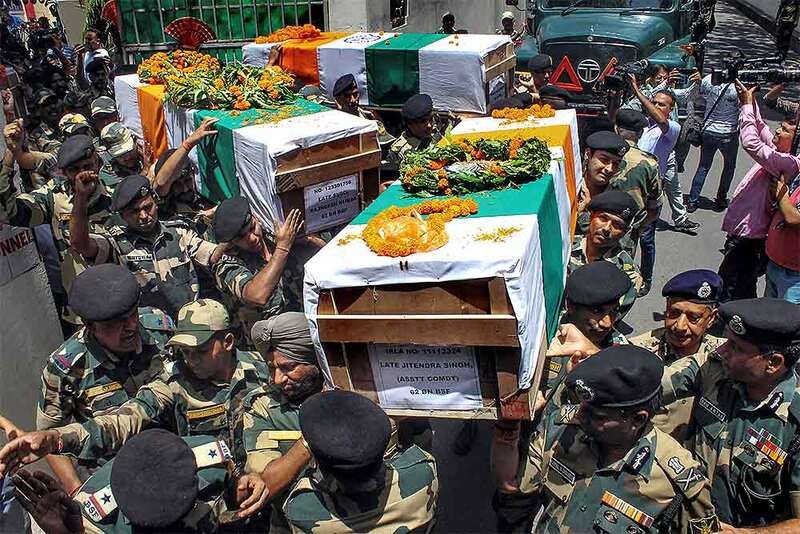 BSF officials and jawans carry the bodies of four BSF personnel, killed in Pakistani firing, after a wreath laying ceremony at Paloura BSF Headquarters in Jammu. Four BSF personnel including Assistant commandant Jatinder Singh were killed and three others injured in a ceasefire violation by Pakistan. 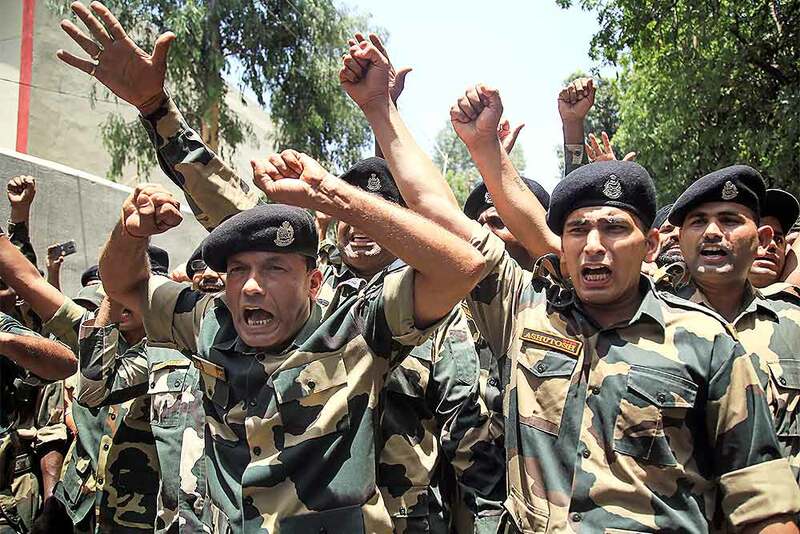 BSF personnel raise slogans against Pakistan after paying tribute to four of their colleagues, killed in Pakistani firing, at a wreath laying ceremony at Paloura BSF Headquarters in Jammu. 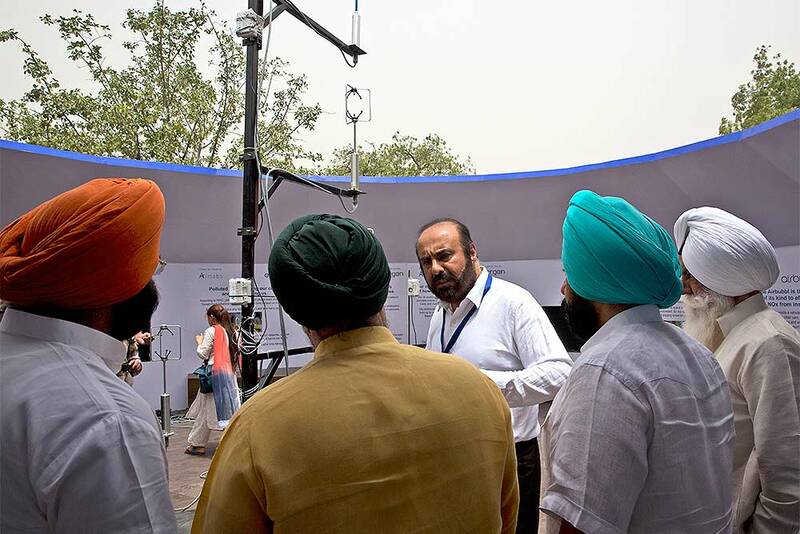 CEO of Evergen Systems Ltd, Sukhbir Sidhu, center, explains to people the working of the AirHavn, a clean air zone set up at the Gurdwara Rakabganj in New Delhi. 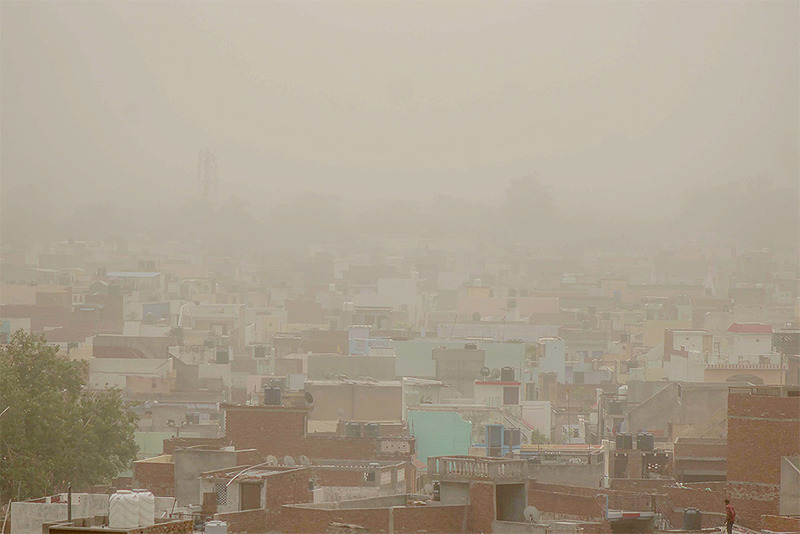 AirHavn, a pilot project by Evergen and Airlabs to combat air pollution in Delhi. A candidate gives physical measurements during medical check-up for recruitment of Uttar Pradesh Police constables, in Allahabad. 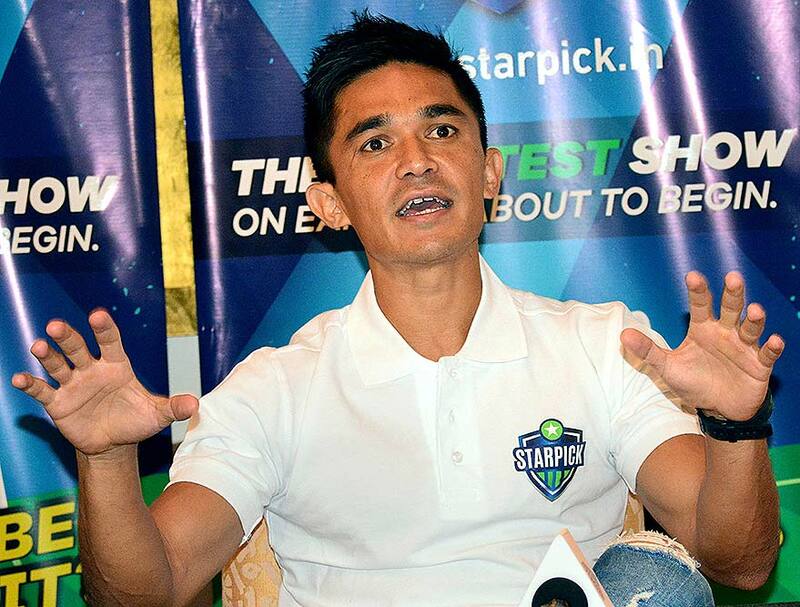 Indian football captain Sunil Chhetri addresses a press conference ahead of World Cup 2018, in Bengaluru. 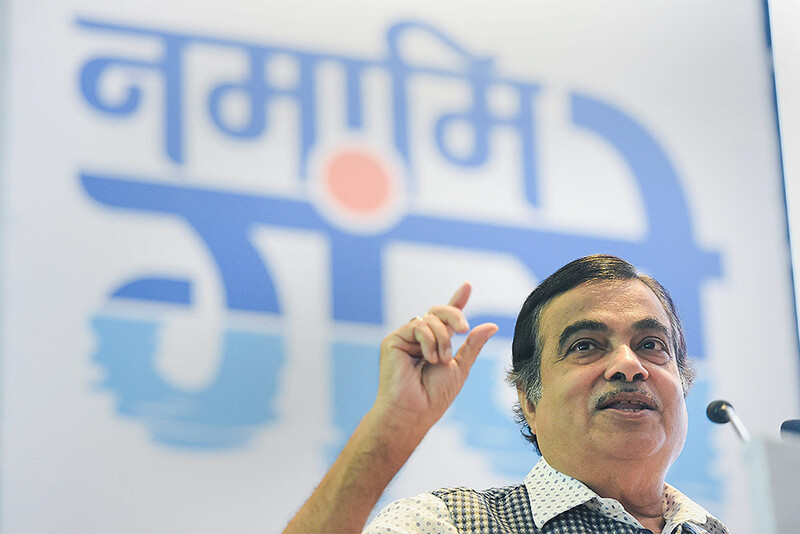 River Development & Ganga Rejuvenation minister Nitin Gadkari addresses a program on 'Namami Ganga', in New Delhi. 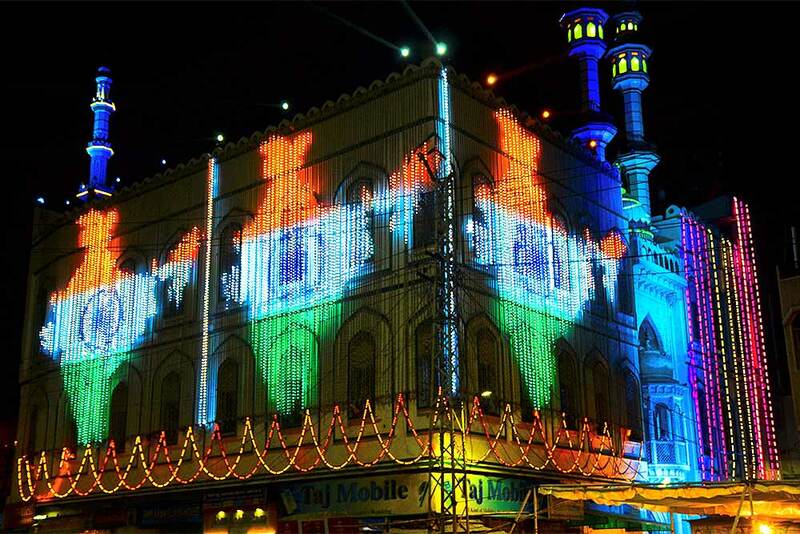 A mosque lit up with a map of India during the holy month of Ramadan, in Bhilwara ahead of Eid al-Fitr. 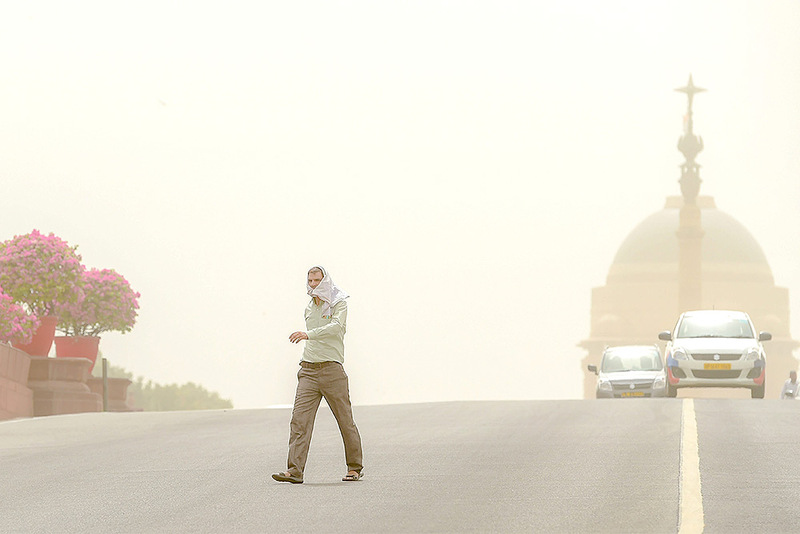 A hazy overcast near India Gate as air quality dips further, in New Delhi. 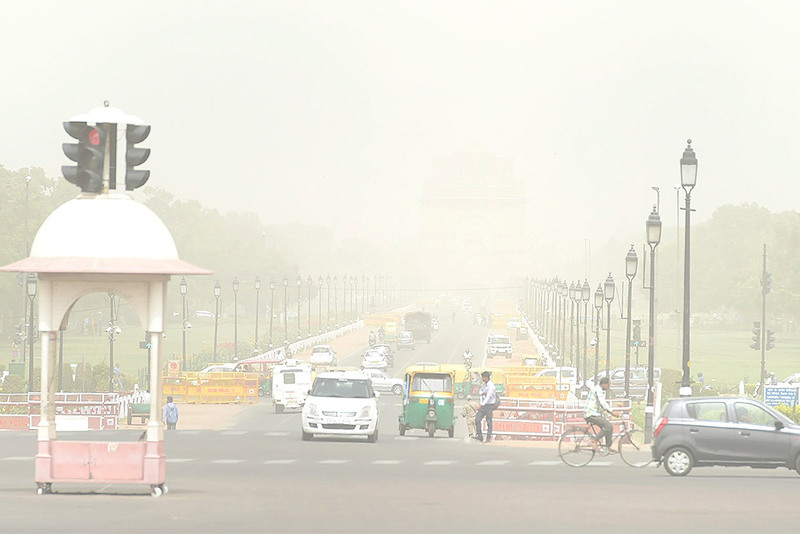 A hazy overcast near Rashtrapati Bhawan as air quality dips further, in New Delhi. A hazy overcast due to a dust storm, in Meerut. 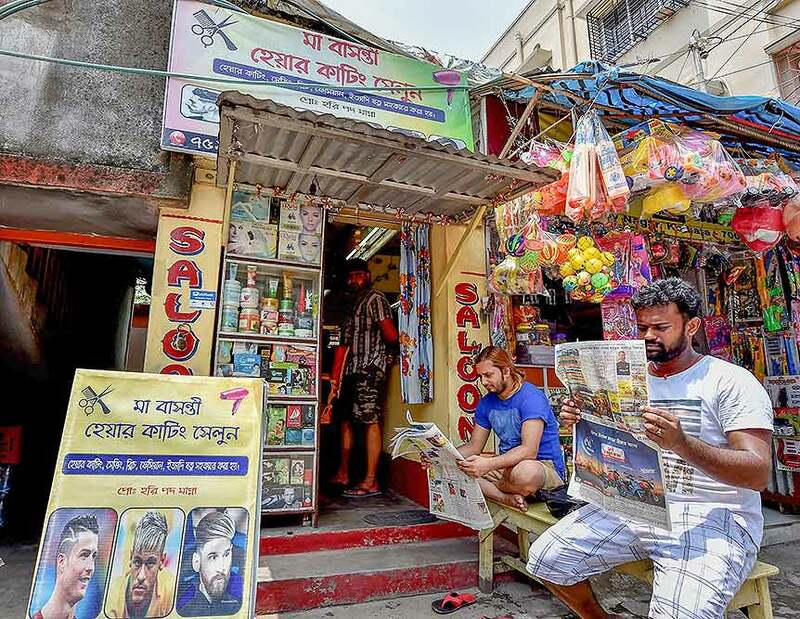 Customers read newspapers in front of a barber's shop as they wait to get hair-cuts in the style of famous soccer stars of different countries, ahead of FIFA World Cup 2018, in Kolkata. 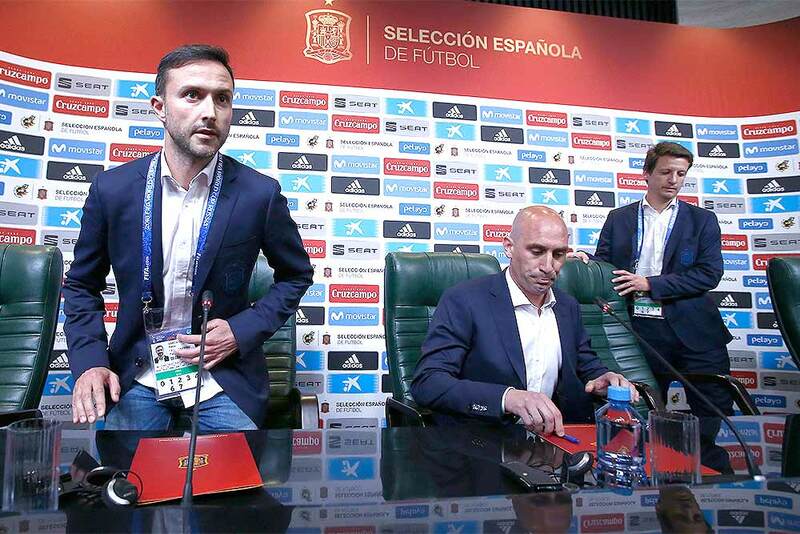 Spanish football president Luis Rubiales, center, attends a press conference at the 2018 soccer World Cup in Krasnodar, Russia. The Spanish soccer federation has fired coach Julen Lopetegui two days before the country's opening World Cup match against Portugal. Lopetegui was let go a day after Real Madrid announced him as its new coach following the World Cup. 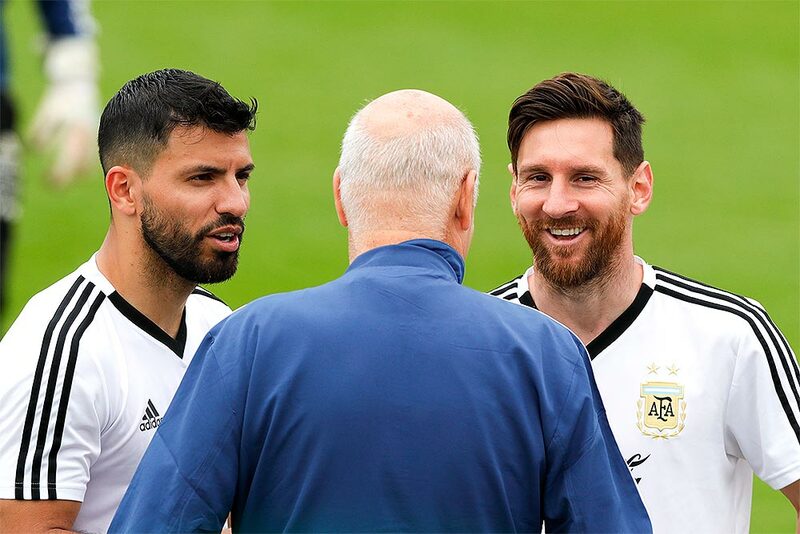 Lionel Messi, right, and Sergio Aguero talk to a team assistant during a training session of Argentina at the 2018 soccer World Cup in Bronnitsy, Russia. 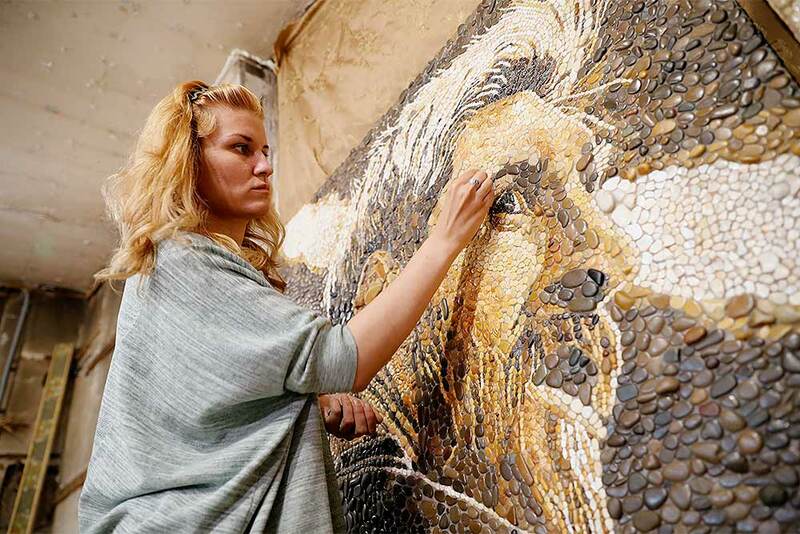 Anna Solnechnaya shows her creation of one of the pebble mosaics depicting Argentina's Lionel Messi ahead of the 2018 soccer World Cup at her workshop in Kazan, Russia. Kazan is one of World Cup match venues in Russia. 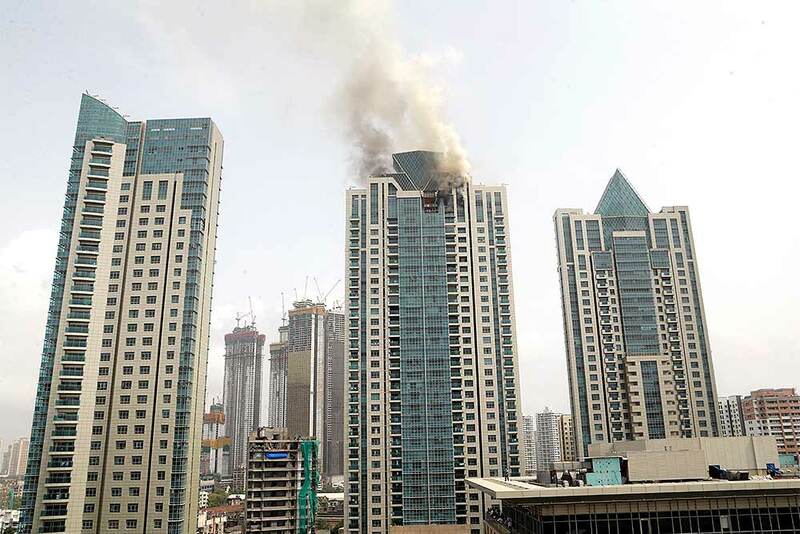 Smoke rises from a fire at Beau Monde Tower building in Mumbai. A fire official says a major fire has broken out on the 33rd floor of the upscale residential apartment building in Mumbai. 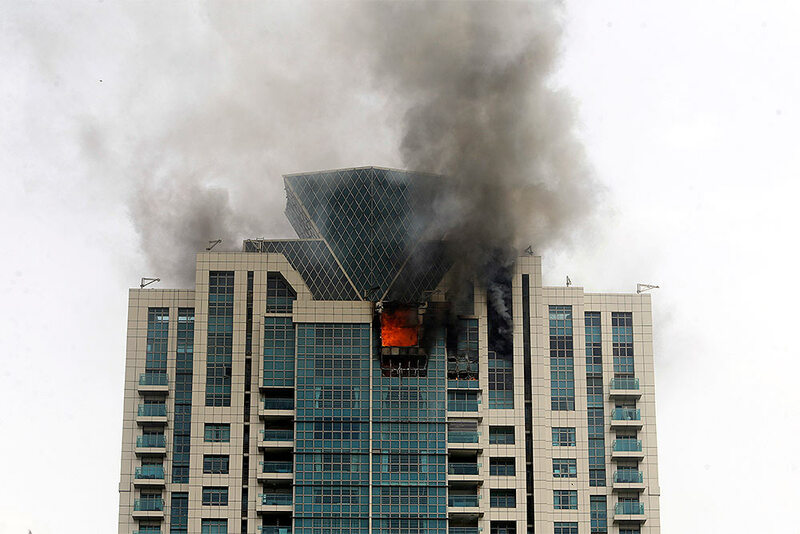 Flames rise from Beau Monde Tower building in Mumbai. The cause of the fire is not immediately known. 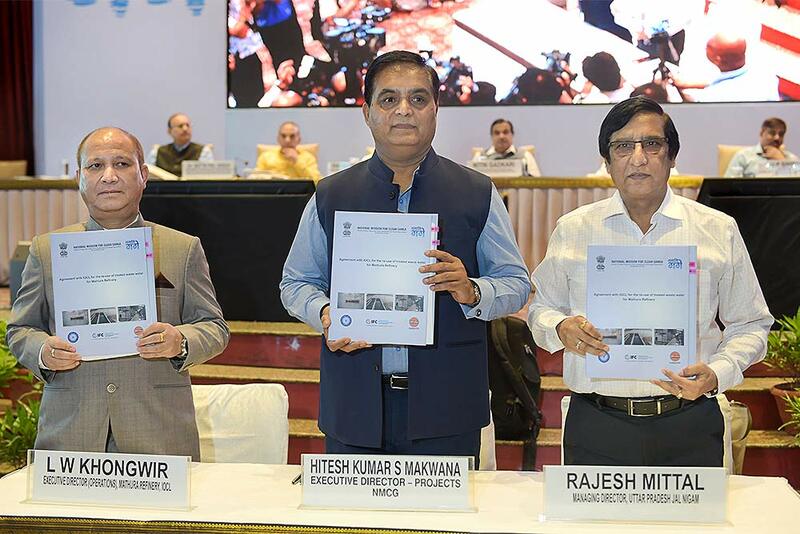 National Mission for Clean Ganga (NMCG) Project Executive Director Hitesh Kumar S Makwana flanked by Executive Director of Mathura Refinery L W Khongwir, UP Jal Nigam MD Rajesh Mittal after signing an agreement for re-use of the treated waste water for Mathura Refinery, during a a programme on "Namami Gange", in New Delhi. 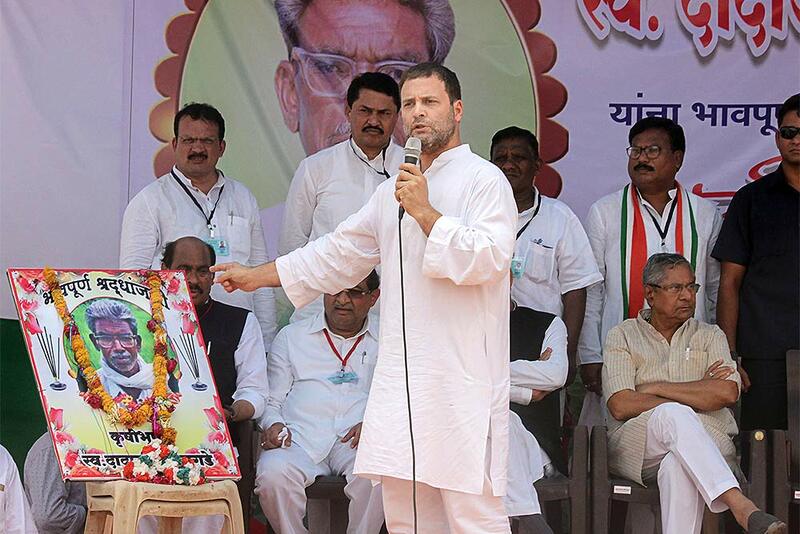 Congress President Rahul Gandhi during an interactive session with the farmers at a “Chaupal pe Charcha” programme, at village Nanded in Chandrapur district of Maharashtra. 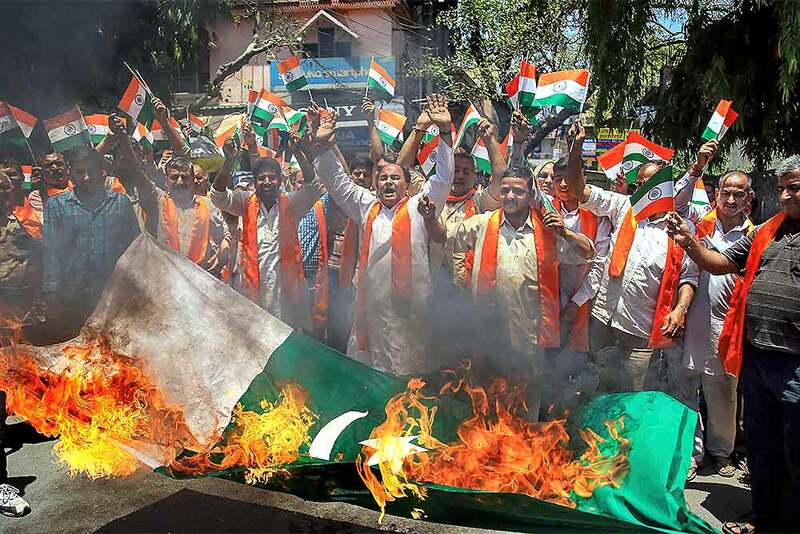 Shiv Sena Dogra Front activists burn a Pakistani flag during a protest over the ceasefire violation at Ramgarh sector of Jammu. 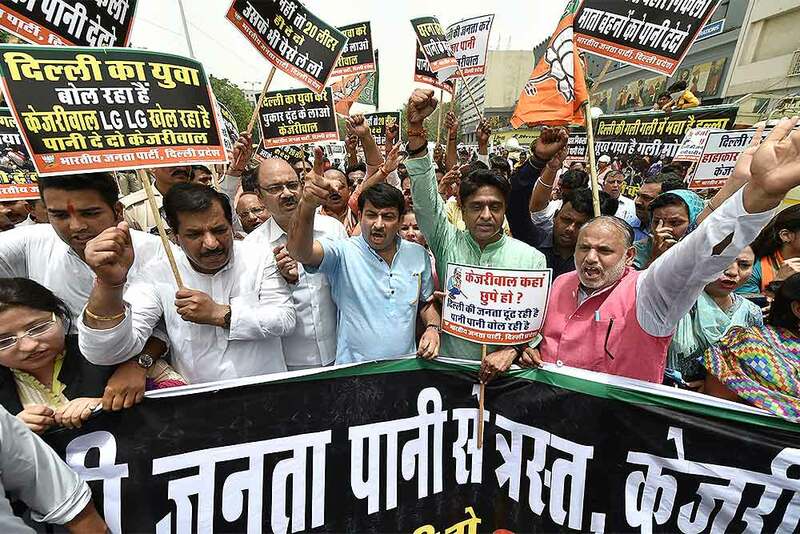 Four BSF soldiers including an Assistant Commandant were killed, while five others are reportedly injured. 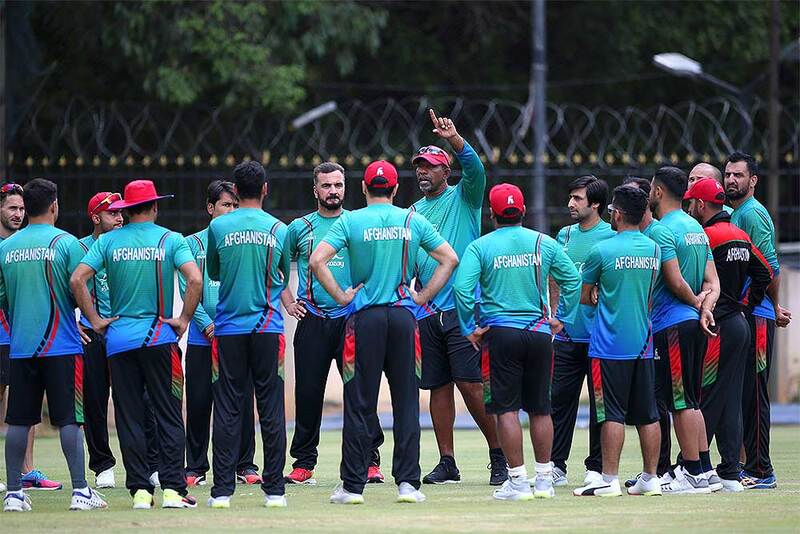 Afghanistan cricket team coach Phil Simmons raises his hand as he interacts with players and support staff standing in a huddle during a training session ahead of one-off test match against India in Bangalore. 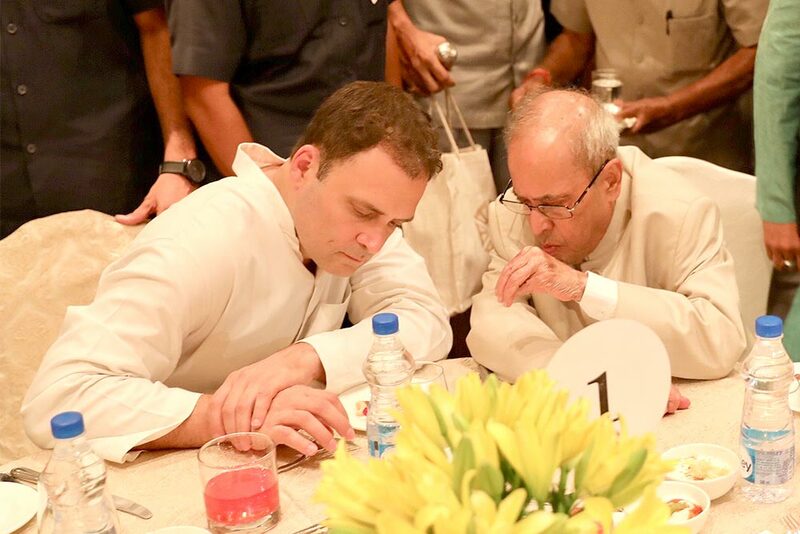 Former president Pranab Mukherjee during the Iftar party hosted by Congress President Rahul Gandhi, in New Delhi. 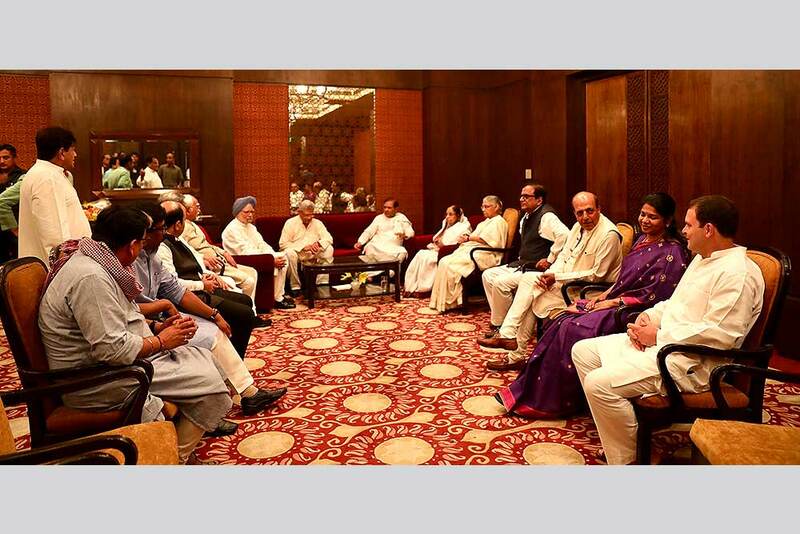 Former president Pratibha Patil, Communist Party of India (Marxist) CPI(M) General Secretary Sitaram Yechury, former prime minister Manmohan Singh, former chief minister Sheila Dikshit and others during the Iftar party hosted by Congress President Rahul Gandhi, in New Delhi. 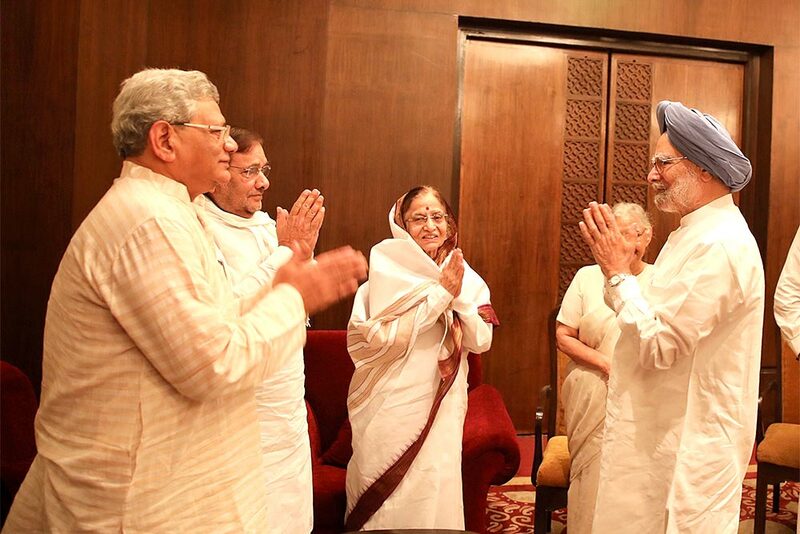 Former president Pratibha Patil and Communist Party of India (Marxist) CPI(M) General Secretary Sitaram Yechury greet former prime minister Manmohan Singh during the Iftar party hosted by Congress President Rahul Gandhi, in New Delhi. 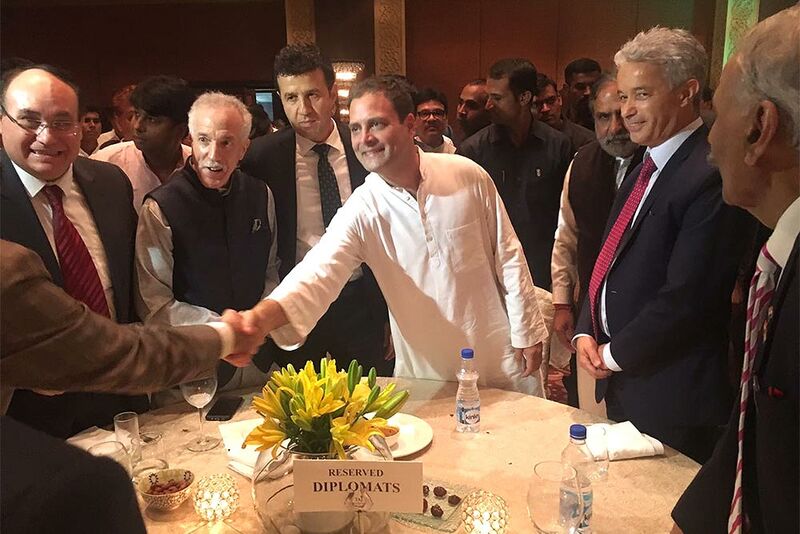 Diplomats attend the Iftar party hosted by Congress President Rahul Gandhi, in New Delhi. 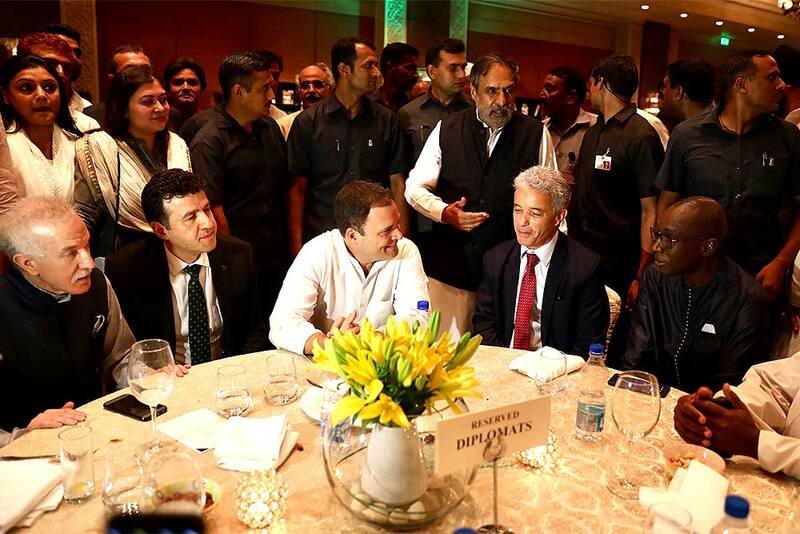 Congress President Rahul Gandhi with Diplomats during the Iftar party in New Delhi. 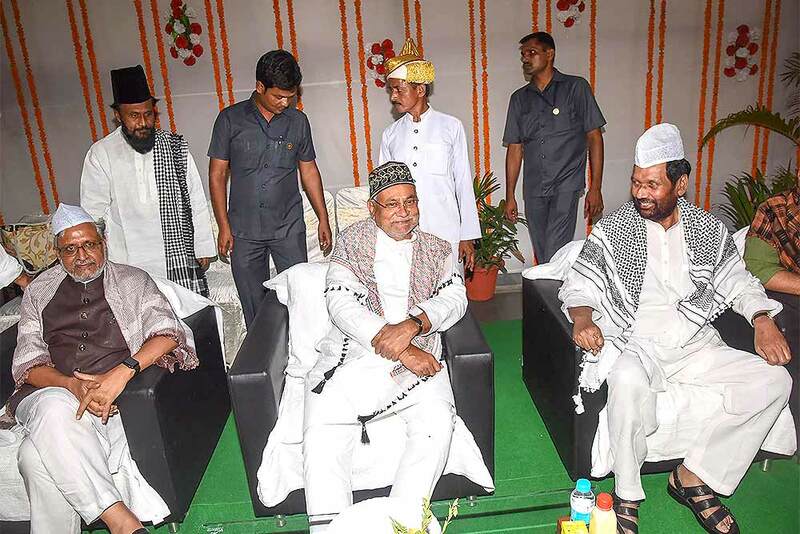 Bihar Chief Minister Nitish Kumar with Union Food Minister and Lok Janshakti Party chief Ram Vilas Paswan and Bihar Deputy CM Sushil Kumar Modi, during an Iftar party, in Patna. 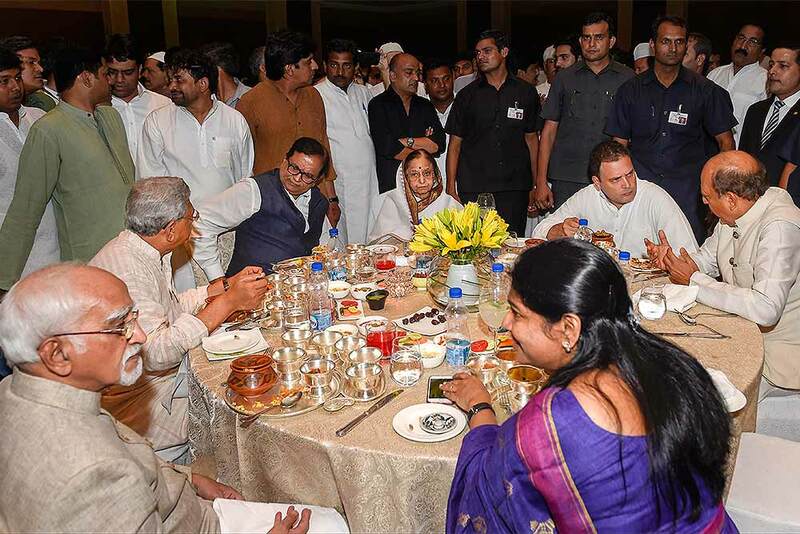 Former president Pratibha Patil, Communist Party of India (Marxist) CPI(M) General Secretary Sitaram Yechury, former vice-president Mohammad Hamid Ansari and others during the Iftar party hosted by Congress President Rahul Gandhi, in New Delhi. 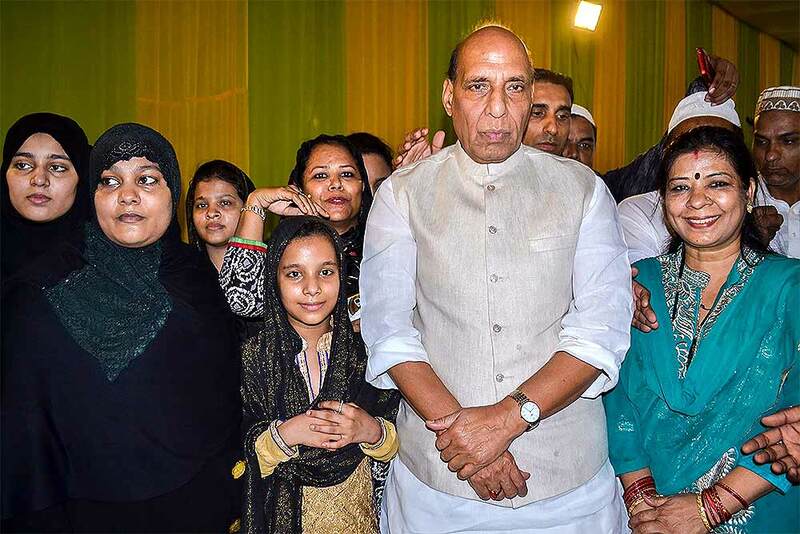 Union Home Minister Rajnath Singh attends an Iftar party at Union Minister for Minority Affairs Mukhtar Abbas Naqvi's residence, in New Delhi. 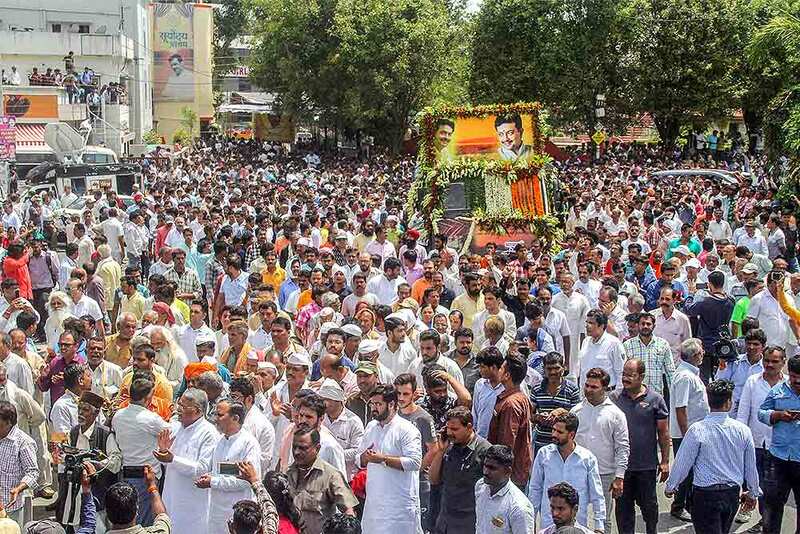 Followers and family member of spiritual guru Bhaiyyu Maharaj walk towards the Meghdoot crematorium to perform the last rites, in Indore. Maharaj allegedly shot himself dead at his residence in Silver Springs. 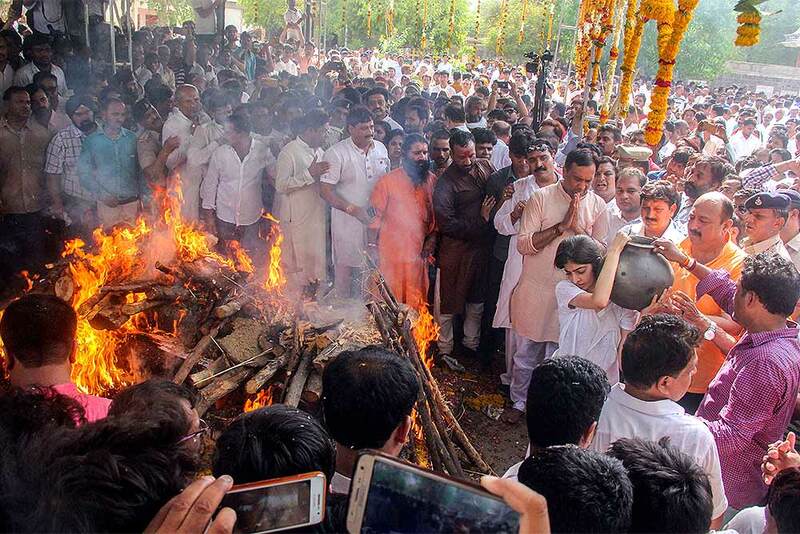 Spiritual guru Bhaiyyu Maharaj's last rites being performed by his daughter Kuhu at Meghdoot crematorium, in Indore. 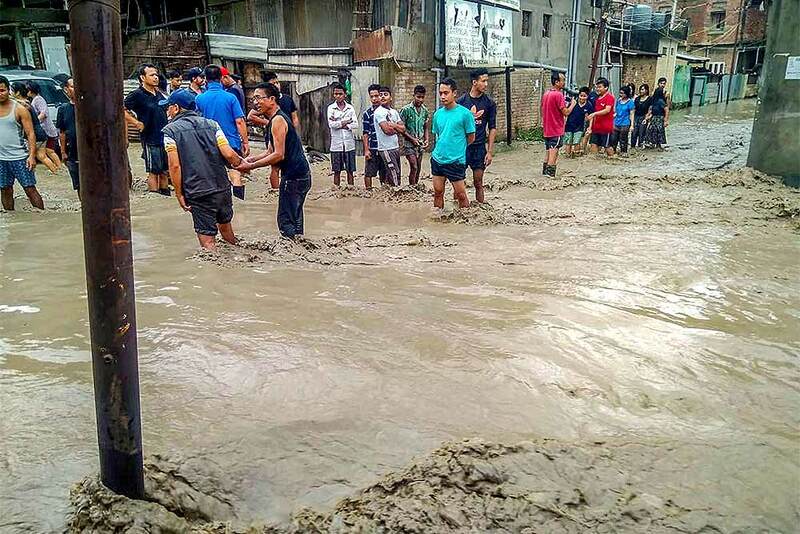 People walk through the flood waters after heavy rains, in Imphal. 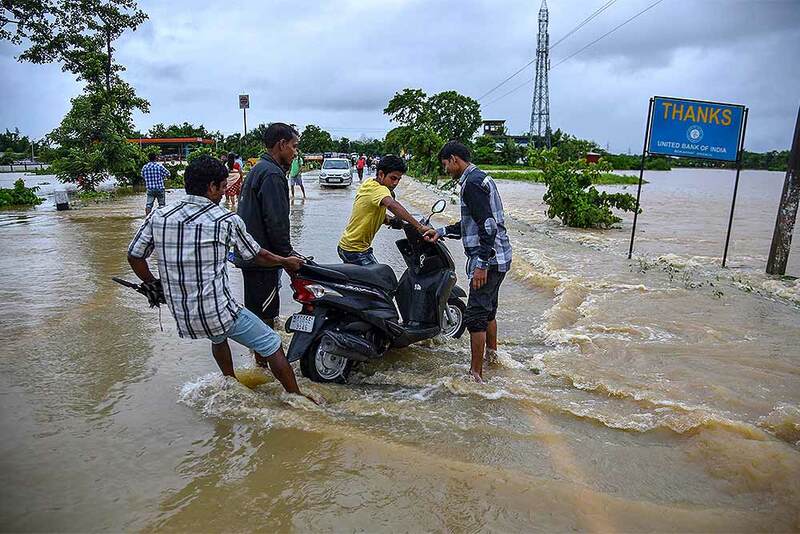 People wade through a flooded NH 37 after rains at Bokakhat sub-division in Golaghat district of Assam.